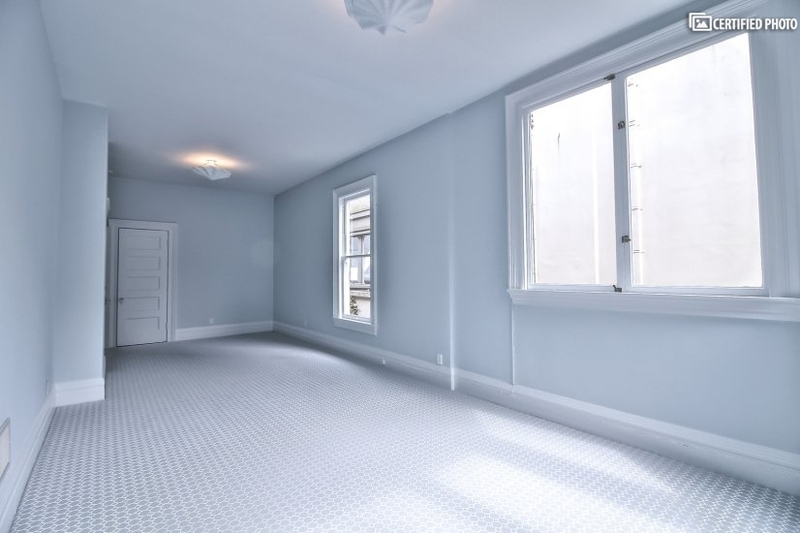 This grand scale, renovated 4-level view mansion is detached and boasts phenomenal period detail, excellent floor plan, and is situated on a premiere Pacific Heights block. Each room in the home has large windows, so that the home is bright and beautiful. The home can be furnished upon request. 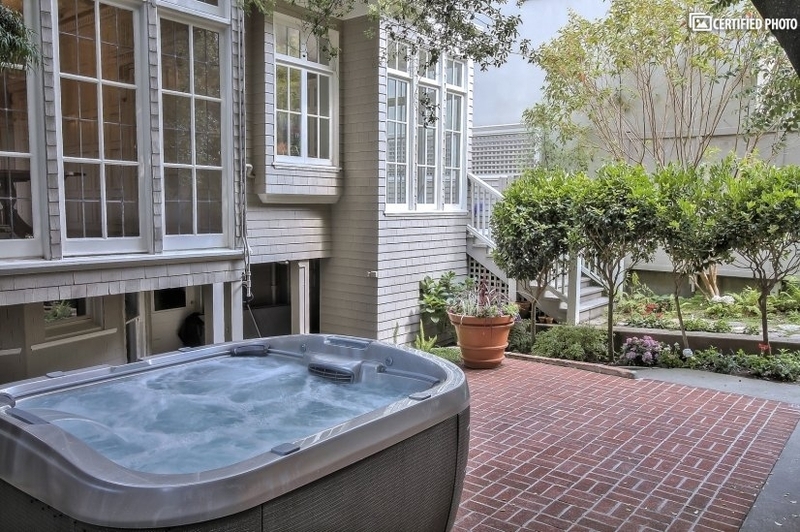 The solarium greets you as you walk-up to the home. As you walk into the grand formal entry, you immediately notice the original period detail and triple view crystal chandeliers. 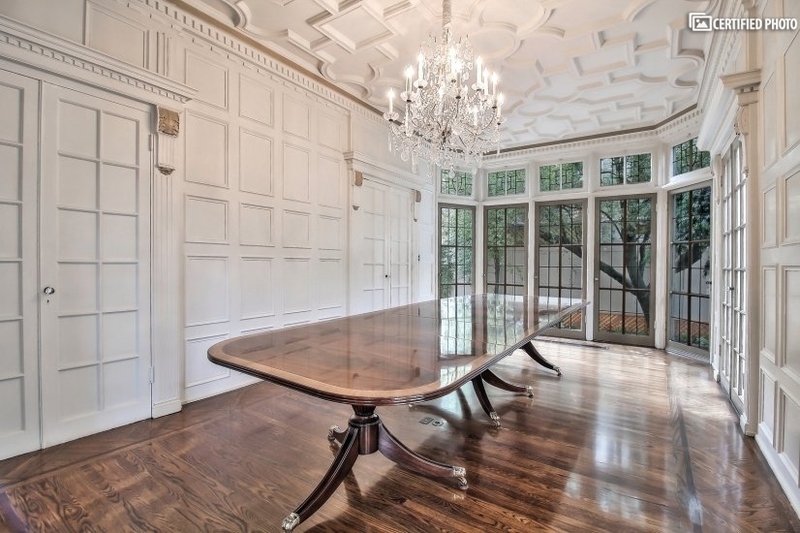 Formal living room has a grand scale with marble surround fireplace and multiple sitting areas. 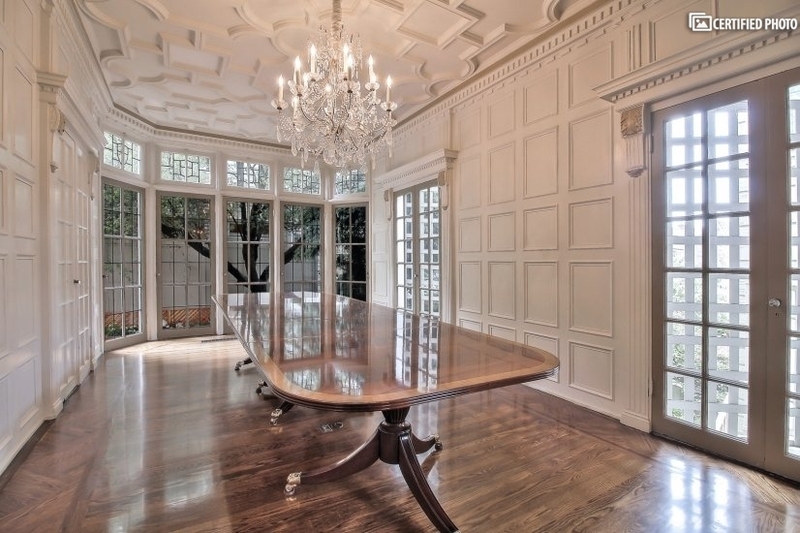 The formal dining room has beautifully detailed ceilings, french doors, coffered panned walls and a crystal chandelier. The master bedroom hosts a large walk-in closet, marble surround fireplace with mantle and spa-like master bathroom. Dual vanity sinks with marble counters, marble surround shower stall and oversized soaking tub. Three additional rooms on the 2nd floor, hosting double wide bedrooms, walk-in closets and a shared bathroom. Penthouse level hosts large paneled family room with custom built-ins, fireplace and storage closets. Views from this floor with Eastern facing large view window and Northern exposure windows with direct Golden Gate Bridge, Alcatraz, and bay views from the office and media room. Additional bedroom on this floor with custom built-in shelves. 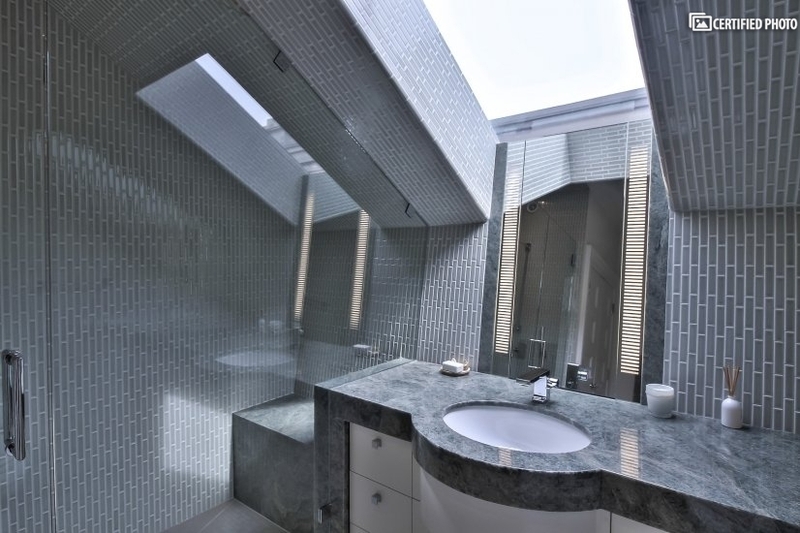 Spa like bath with tile surround shower and skylight with retractable shade. GG Bridge and Bay View office with built-in desks, fireplace and direct access to rooftop terrace. The bottom floor of the property is an au pair / maids quarters with a full bath and laundry room and a separate exterior entrance. 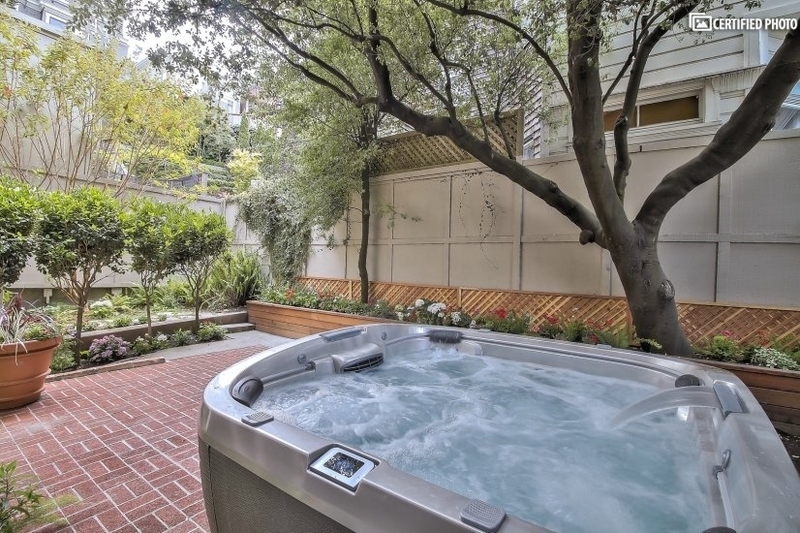 There is large, landscaped rear garden with a 6-seater jacuzzi. There are also three large, sunny decks (front, side and rear) providing an abundance of outdoor space. Two car side-by-side garage is included in the rent! Sorry, no pets.